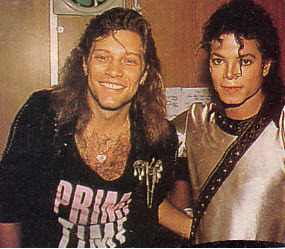 Michael Backstage With Jon Bon Jovi. Michael Backstage With Jon Bon Jovi. Wallpaper and background images in the 배드 시기 club.